A list of Undocumented Student Program partners & allies. 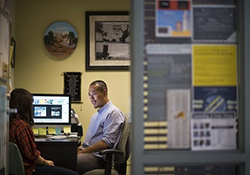 Graduates Reaching A Dream Deferred (GRADD) is an organization founded by undocumented graduate students, which aims to address the needs of immigrant students interested in pursuing graduate education. GRADD works to establish a national network of students, faculty members and community leaders dedicated to bringing resources and attention to this underserved student population. Through the creation of an inclusive and safe environment, GRADD intends to reassure students that their academic and professional goals are achievable. The National Forum exists to support higher education’s role as a public good. In this pursuit, the Forum utilizes research and other tools to create and disseminate knowledge that addresses higher education issues of public importance. UndocuScholars is a study reaching students at U.S. colleges who do not have the benefit of recognized documentation status. The project aims to reach students at every type of institution — community colleges and four-year colleges and universities, public or private — across the country. Founded in 1979, the National Immigration Law Center (NILC) is the primary advocacy organization in the U.S. exclusively dedicated to defending and advancing the rights and opportunities of low-income immigrants and their families. E4FC’s mission is to empower undocumented young people to achieve their academic and career goals and actively contribute to society. TheDream.US is a new multimillion dollar National Scholarship Fund for DREAMers, created to help immigrant youth who’ve received DACA achieve their American Dream through the completion of a college education. The Migration Policy Institute is an independent, nonpartisan, nonprofit think tank in Washington, DC, dedicated to analysis of the movement of people worldwide. The Center for American Progress is an independent, nonpartisan policy institute dedicated to improving the lives of all Americans through bold, progressive ideas, as well as strong leadership and concerted action. Its aim is not just to change the conversation, but to change the country. The mission of Asian Americans Advancing Justice (AAAJ) is to promote a fair and equitable society for all by working for civil and human rights and empowering Asian Americans and Pacific Islanders and other underserved communities. The Institute for Immigration, Globalization and Education (IGE) conducts multidisciplinary and comparative research engaging policymakers, practitioners and institutional leaders. The Longhorn DREAMers Project seeks to strengthen support services on campus for undocumented students enrolled at The University of Texas at Austin. 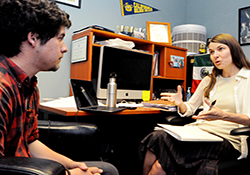 The Bruin Resource Center’s Undocumented Student Program offers caring and personalized support to undergraduate and graduate undocumented students. 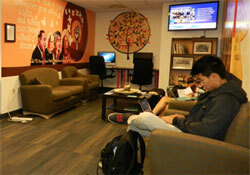 The BRC provides a welcoming and safe space to help students navigate UCLA. The BRC offers mentoring and encouragement, guidance on educational strategies and financial opportunities, and tools to succeed academically and personally. 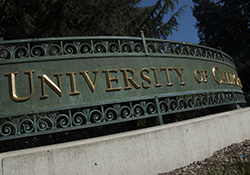 They increase campus awareness of, and advocate for, undocumented student issues. In doing so, the BRC fosters a sense of belonging, community and well-being for all undocumented students on campus.